There’s no question that sellers will be faced with years of wear and tear on a property that has seen renters come and go. Whether your property was used to provide a vacation spot or was simply an investment for you, when it’s time to sell it, how should you handle that wear and tear? 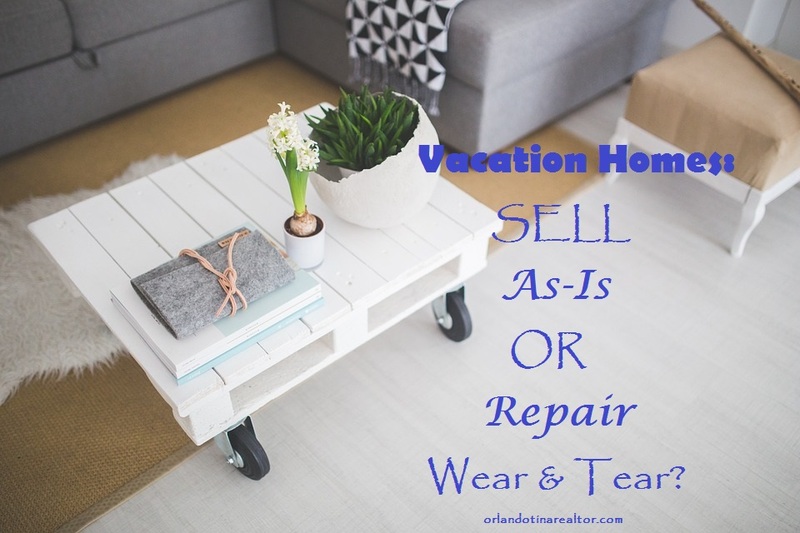 As a follow-up to a previous article, “Should I Sell My Vacation Property With or Without Furniture,” today I’ll talk about whether or not you should make repairs to a vacation or investment property before you sell it. While this post is geared towards foreigners who have a property to sell within the United States, the advice should be taken by anyone selling a vacation or rental property. Before we talk about whether or not you should address normal wear and tear in a vacation property, let’s first define normal. Basically things that happen over time, not something a renter has done to directly damage the property. While these are NOT THE ONLY items that fall into the natural wear and tear category, they are the most common. As a general rule, properties in good condition are viewed as good investments, rather than a money hole. If you are trying to sell a vacation property as-is, interested buyers will start adding up the dollar signs, making your property less desirable than one where the seller has taken the time to make these adjustments to the overall appearance of the home. The bottom line is that you will want to take the time to properly prepare the property for sale in order to get top dollar, whether it’s a vacation property or not. That being said, you will need to factor in the total costs of the normal wear and tear items, as well as any major problems that need to be addressed. It’s possible it would be in your best interest, based on budget, to attempt to sell as-is instead of spending the money to fix up the property. Here is a look at other information that is especially important for foreign owner to know.